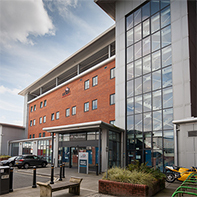 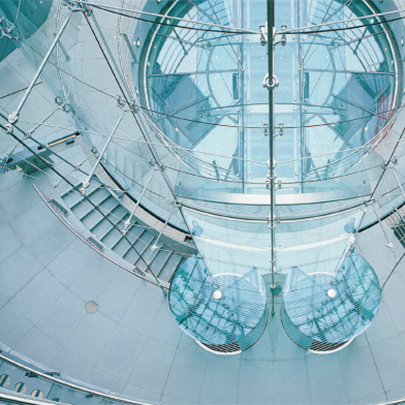 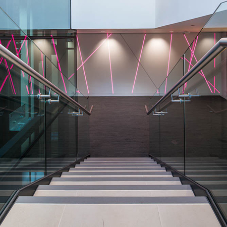 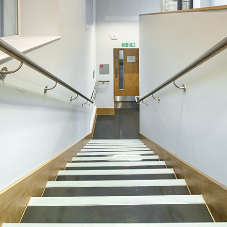 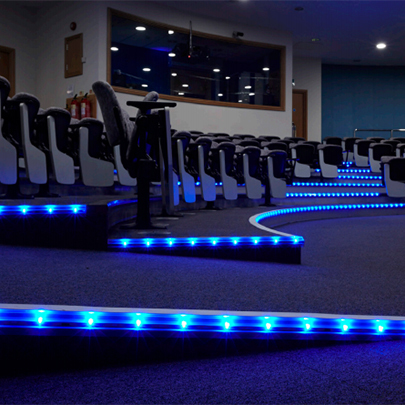 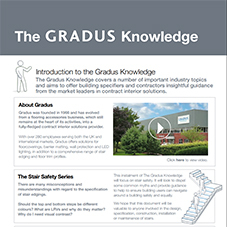 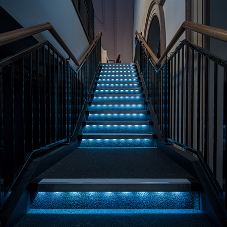 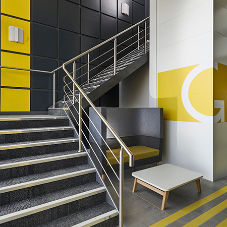 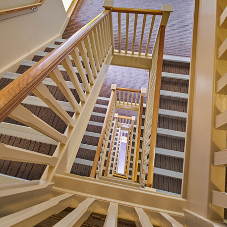 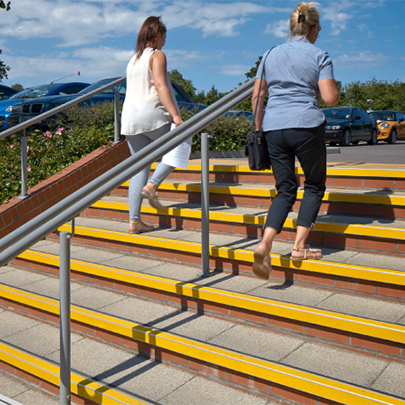 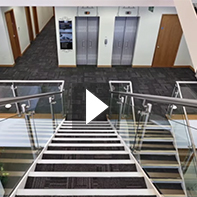 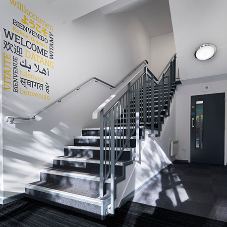 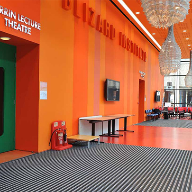 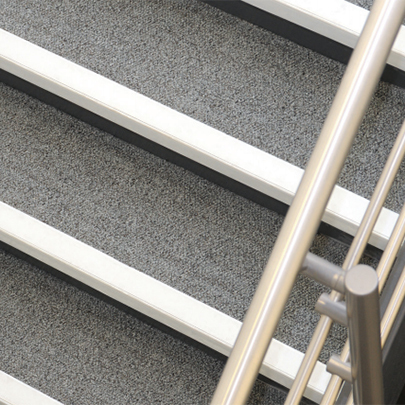 Providing the most extensive range in the UK, Gradus stair edgings (stair nosings) can help to reduce accidents on stairs as well as helping to provide an ‘inclusive’ environment giving access to all building users. 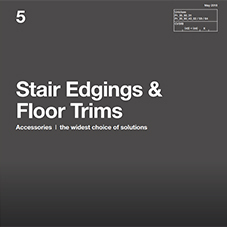 Stair edgings are used to define the edges of steps in line with guidelines in Approved Document M (ADM) of The Building Regulations 2010 and BS8300:2009+A1:2010. 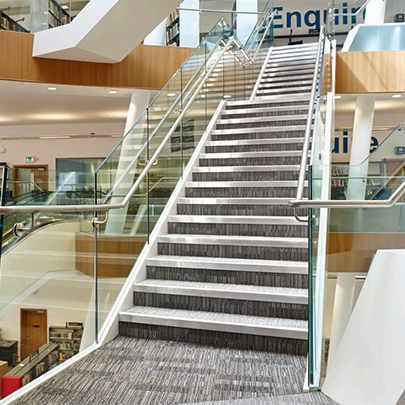 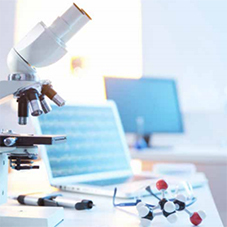 They also protect the edges of floorcoverings from becoming worn or damaged, prolong the life of the floorcoverings and prevent trip hazards from occurring. 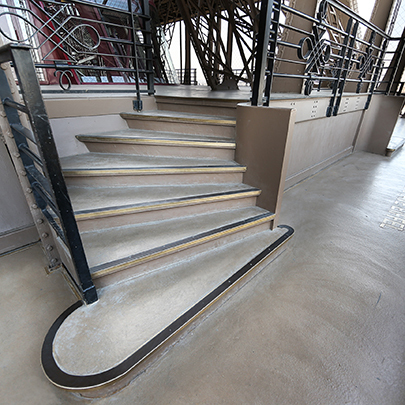 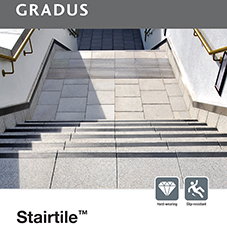 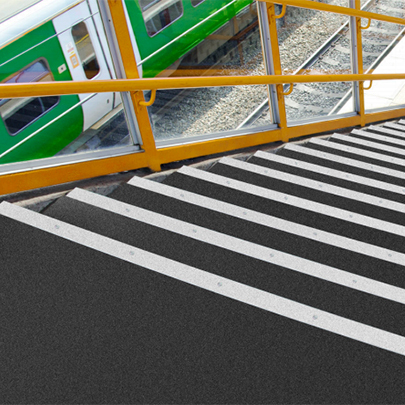 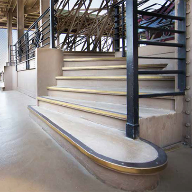 Gradus stair edgings are offered in a choice of materials and four profile designs to accommodate most step shapes. 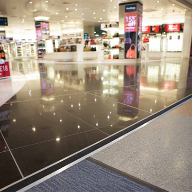 A choice of gauges is offered to suit most floorcoverings, whilst single, double or multiple channel options are available dependent on traffic levels and conditions. 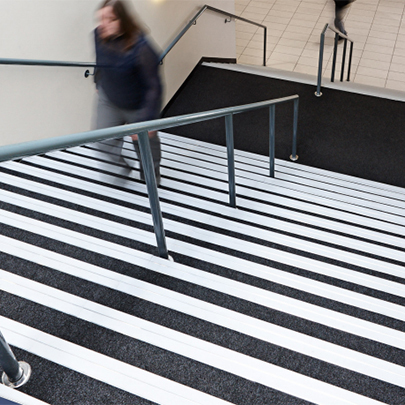 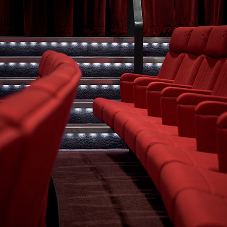 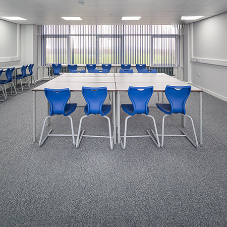 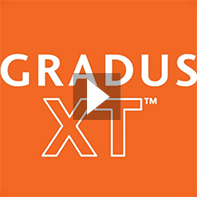 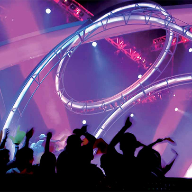 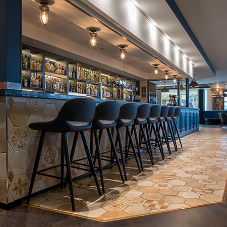 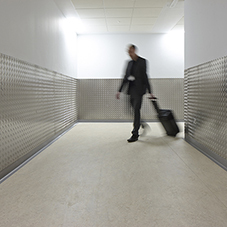 Gradus offers a wide choice of solutions for the interface between different floorcoverings – from everyday problems to more specialist requirements. 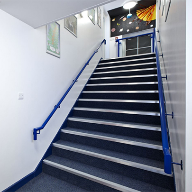 Some of those solutions include: Luxury Trims, Transition Strips, Movement Joints, Expansion Joint Covers, Bevelled Underlay and Heavy Duty Ramps. 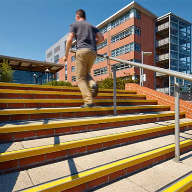 There are many different finishes, colours, heights, materials and profile types to ensure a perfect fit and an attractive appearance.